Hi everyone! The busy holiday season is now officially upon us with the arrival of November! 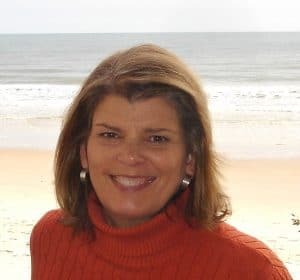 However, no matter what the season, there's always time for a little thrifting and I have some great finds to share...and one of them has been on my list for a loooong time! It's the one in the middle...can you guess what it is? I finally found one in great condition, not easy since it's over 100 years old! Got a guess? Head on over HERE to see if you are right! Welcome to the party, everyone! I sure am looking forward to seeing what you have to share with us this week. Have you started your Thanksgiving meal planning yet? 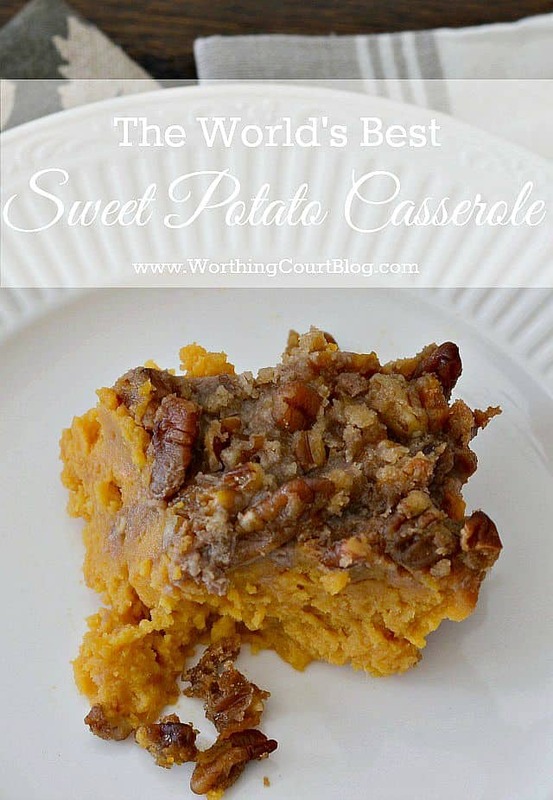 I have a recipe to share with you for the Best Ever Sweet Potato Casserole. This recipe is by far the best sweet potato casserole that I've ever tasted - it's almost like a dessert. I've been making it for years and I would be dead to my family if I didn't include it in our Thanksgiving meal. And now, here are a few features from last week's party. 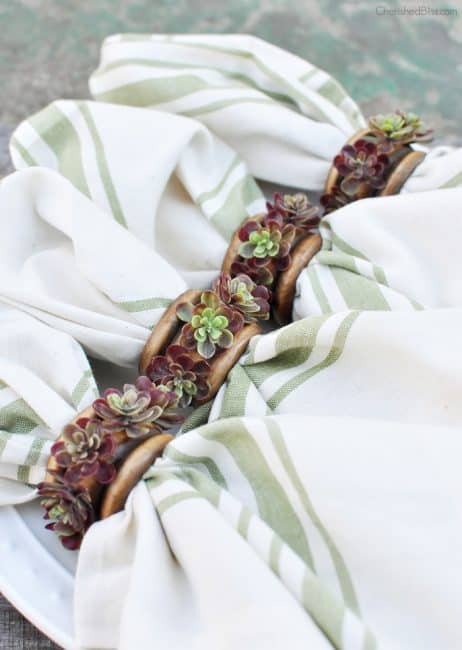 Ashley from Cherished Bliss shows us her DIY Succulent Napkins Rings and shares how to make them. Too cute! 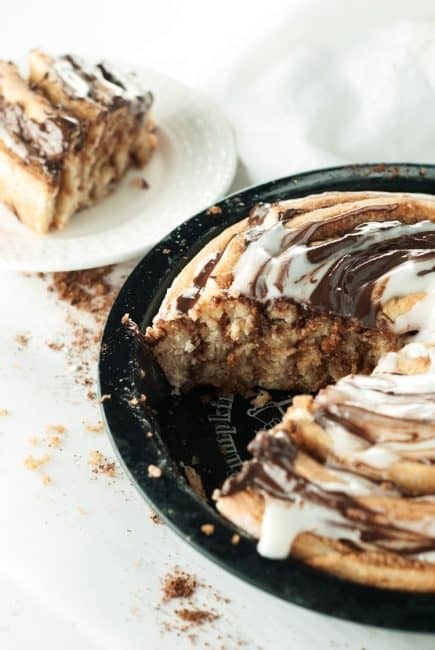 The name of this recipe by Karly from A Simple Pantry says it all - Peanut Butter Cinnamon Roll Cake. Yum. 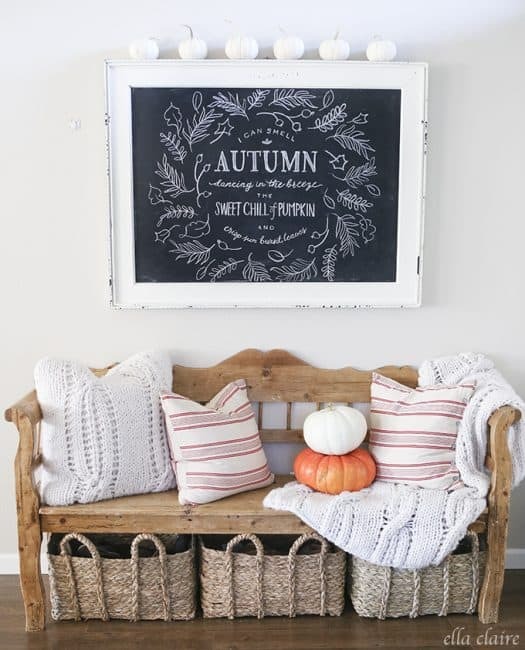 Kristen from Ella Claire Inspired shared her pretty Autumn Chalkboard and tells us how we can make one, too. 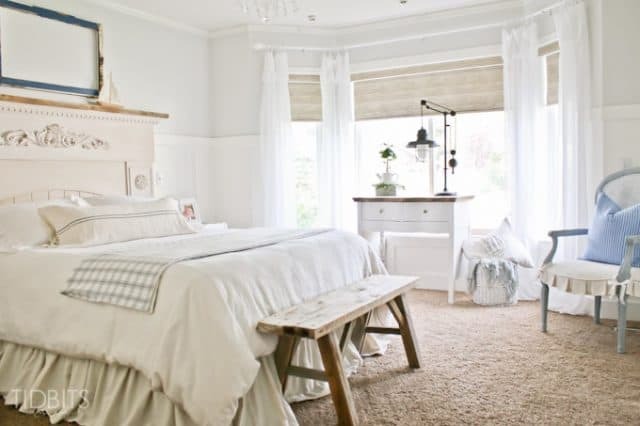 Cami from Tidbits revealed her so pretty Master Bedroom Makeover. Don't be afraid to try your hand at something new! 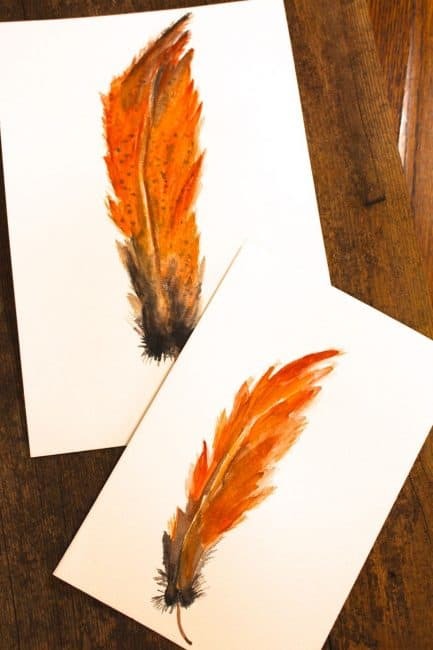 Vicki from 2 Bees In A Pod created these beautiful DIY Watercolor Feathers from a tutorial.